These Cake Mix Christmas Cookies are a festive, quick treat that is perfect for a holiday party, as a gift for neighbors, or to leave out for Santa on Christmas Eve. This is a recipe I love to make with my kids because they can do most of the work and it’s a fun way to spend time together. Who can pass up a good Christmas cookie? Especially one that screams red and green! You won’t want to pass this Cake Mix Christmas Cookie by, and not only because it looks and tastes great, but because with only five ingredients, it may be the easiest cookie to make. You’ll wow your neighbors, your kids, or whoever you share these delicious Christmas cookies with while keeping things easy and simple for yourself. 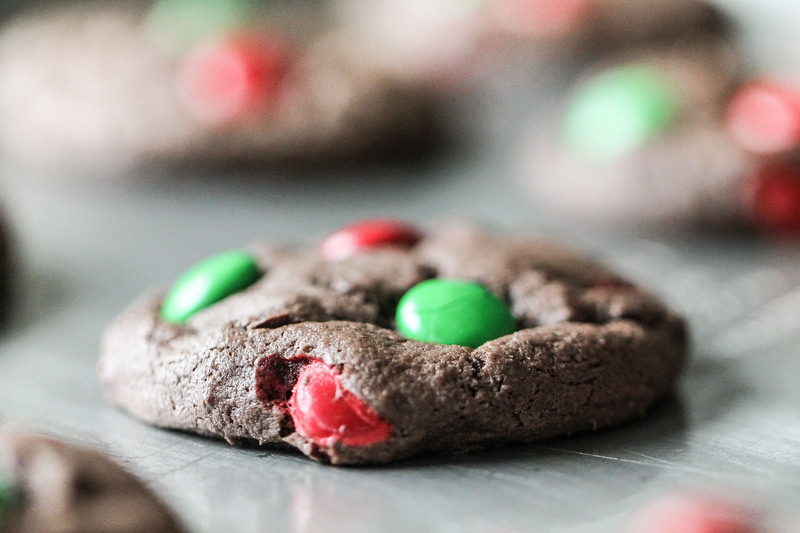 These Christmas Cookies are a cake mix cookie. That simply means that we use a cake mix to make our dough, rather than a “from scratch” approach. It makes for a quick recipe that is just as delicious. 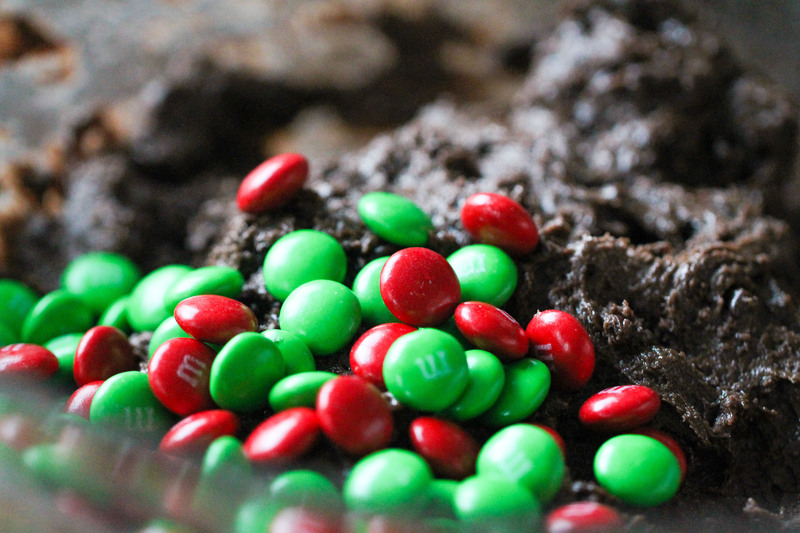 Keep a chocolate cake mix in your pantry, some mini M&Ms (Christmas colors or not!) in the freezer, and you’ll always have what you need to make this yummy treat. In a large bowl, mix together dry cake mix (don’t prepare it as called for on the back of the box), vegetable oil, and eggs. The dough will be very thick. Fold in the M and M candies. You can use normal sized M and M’s or mini M and M’s. Either one will work just fine. Roll the dough into 1″ balls and place on an ungreased cookie sheet. If they are a little bit sticky, you can spray your hands with non stick cooking spray. 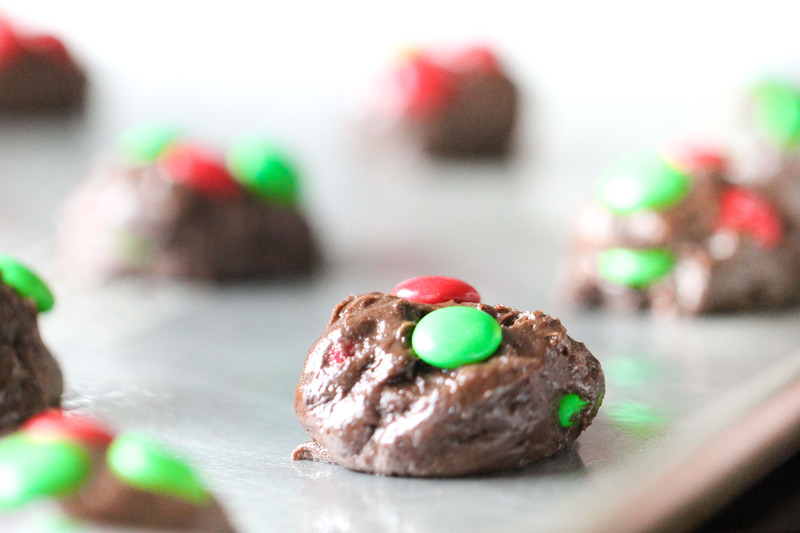 I like to add a few more M and M’s on top of the cookie after I roll them out so they will look GOOD! Bake for 9-11 minutes and remove from oven. Let cookies cool for 2-3 minutes on the cookie sheet, then move them to a wire rack to finish cooling. When making these Cake Mix Christmas Cookies, or any cake mix cookie, do not prepare the cake mix according to the package directions. The dry cake mix is added to this recipe to form a thick dough. Roll them into small, even balls. That way they will all cook evenly and some won’t burn while others are still doughy. 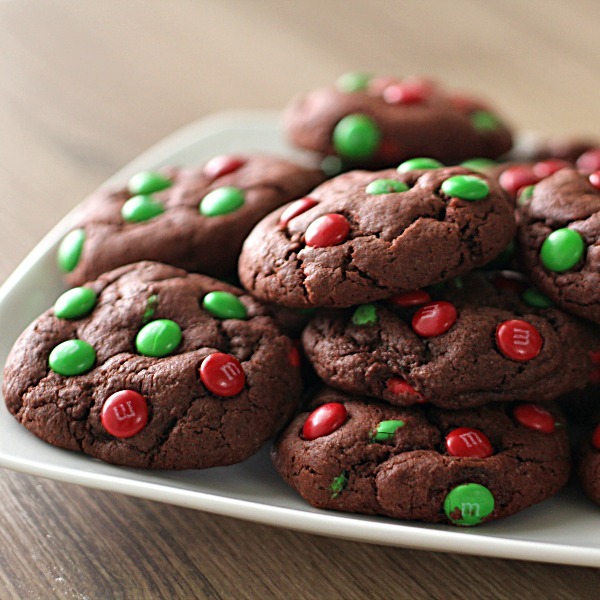 Liked these Cake Mix Christmas Cookies? 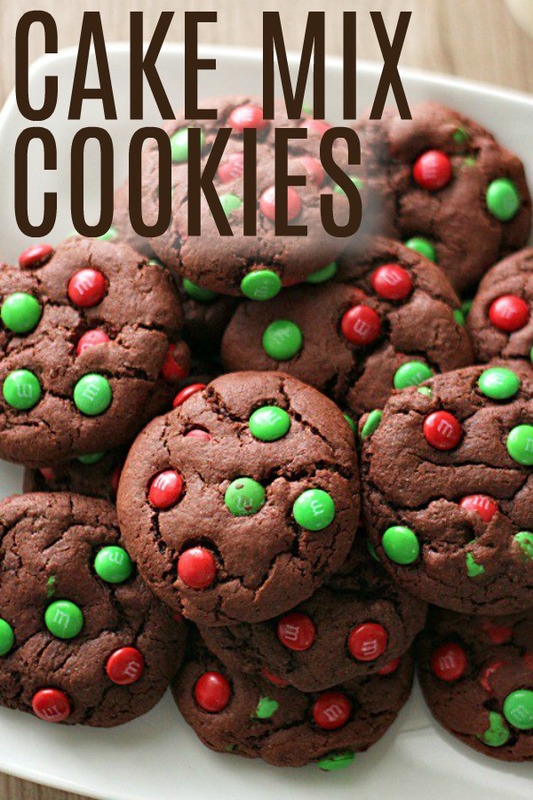 Combine with some of these other Christmas cookie recipes! 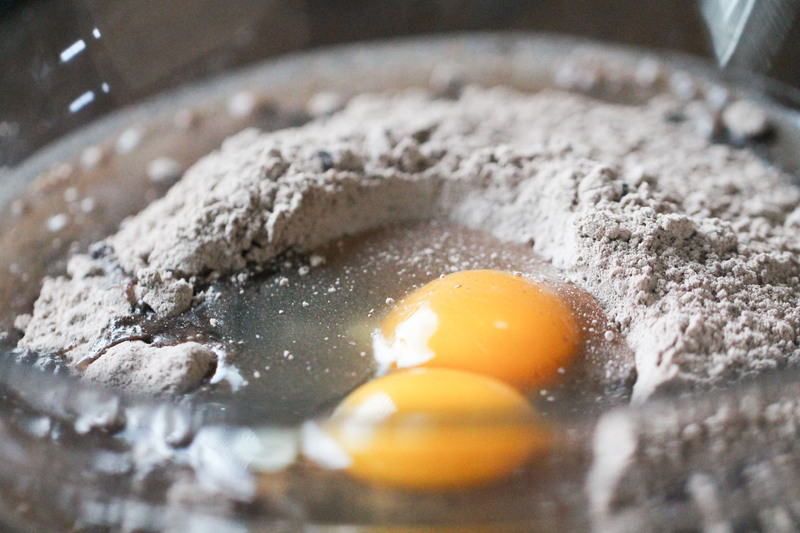 In a large bowl, mix together dry cake mix (don't prepare it as called for on the back of the box), vegetable oil, and eggs. The dough will be very thick. Fold in the M and M candies. Roll the dough into 1" balls and place on an ungreased cookie sheet. This recipe makes about 24-30 cookies. These cookies freeze great in a freezer container or airtight container. These cookies freeze really well in a freezer container.